Product prices and availability are accurate as of 2019-04-18 22:53:19 UTC and are subject to change. Any price and availability information displayed on http://www.amazon.com/ at the time of purchase will apply to the purchase of this product. 100% brand new and high quality. // Shipping time 5-15 days. 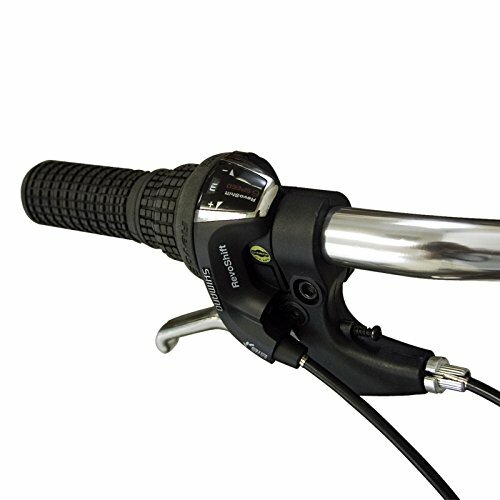 SPECIFICTIONS: Silver finish Shimano 6-speed shifter SHIFTERS: Shimano RS35 FRAME: 20" Folding Bike Hi-Tensile Steel HANDLE BARS: Retro Alloy Handlebar FORK: Hi-Ten Steel CRANKSET: One Piece Steel Chrome Plated Crank. 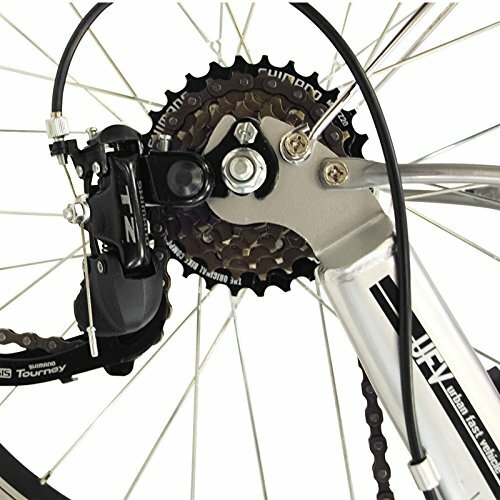 REAR DERAILLEUR: Shimano RDTZ 50 BRAKES: Alloy V-Brakes STEM: Alloy Tall Cool SEAT POST: Steel Chrome SPOKES: Stainless Steel 14G. RIM: Alloy Silver Front/Rear TIRES: 20" X 1.5 Double Wall. 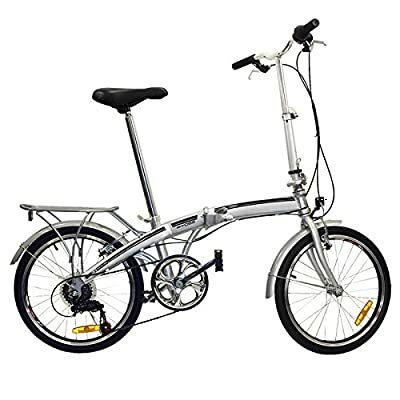 KICK STAND: Heavy Duty Kick Stand Folding Bike 20" Shimano 6 Speed Bike Fold Storage Silver College School Sports product description Best Choice Products Presents to you, this brand new silver Shimano folding bike. These bikes are absolutely great. Simply fold the bike, and you will be able to easily store into any car. Great for traveling and everyday bike use. NO ASSEMBLY REQUIRED. We can guarantee you the best price on the market. 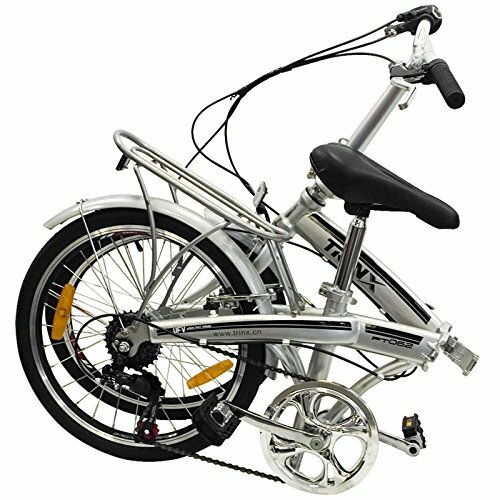 Our Folding Bikes are of excellent quality, and we will provide all of our customers with a money back guarantee. 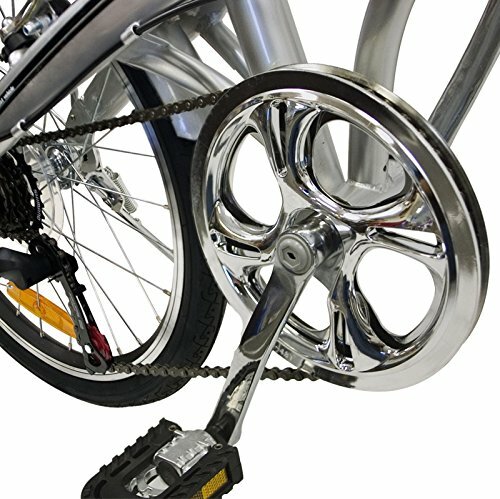 We purchase all of our products directly from the manufacturer, so you know you're getting the best prices possible Folding Bike 20" Shimano 6 Speed Bike Fold Storage Silver College School Sports product description Best Choice Products Presents to you, this brand new silver Shimano folding bike. These bikes are absolutely great. Simply fold the bike, and you will be able to easily store into any car. Great for traveling and everyday bike use. NO ASSEMBLY REQUIRED. We can guarantee you the best price on the market. Our Folding Bikes are of excellent quality, and we will provide all of our customers with a money back guarantee. We purchase all of our products directly from the manufacturer, so you know you're getting the best prices possible NEW PRODUCT WITH FACTORY PACKAGING FEATURES: Shimano 6-speed derailleur & freewheel Color matching front and rear tail fenders Color matching front and rear anodized alloy wheels 22" Wide chrome plated alloy handle bar. Front and rear hand brakes Hi-tensile steel designer folding frame 20"x 1.5" flame thread cruiser tires Body colored chain guard Adjustable and quick release chrome plated seat post Chrome plated alloy stem Folding paddles w/ reflectors One piece chrome plated crank arm Heavy-duty chrome plated kick stand Seat height adjustable Handle bar height adjustable Adjustable 24" to 42" height quick-release seat post Adjustable 36" to 46" height quick-release handlebars High quality bike for everyday use and a comfortable ride Maximum weight 250 lbs For ages 7 and up Bike weight is 38 lbs No need for a bike rack Folds in three simple steps NO ASSEMBLY REQUIRED.